The Panasonic GX850 is a compact yet capable entry-level Micro Four Thirds camera that offers excellent image quality, great features and good performance, all for an affordable price. While not without its faults, the GX850 is a terrific option for those looking for a small mirrorless camera that won't break the bank. 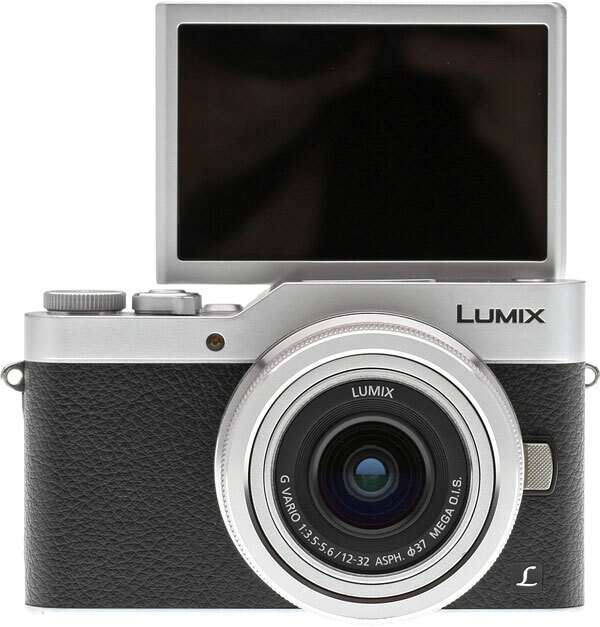 The Panasonic GX850 has been available since February of 2017 and is available in black or silver with a 12-32mm OIS kit lens for under US$550. One of Panasonic's longest-running Micro Four Thirds series -- spanning all the way back to 2009 -- the GF-family of compact, rangefinder-esque ILCs serves as the company's most consumer-level offering from their MFT lineup. Hitting their eighth generation in the series (ignoring the somewhat confusing name change in most markets), the Panasonic GX850 (GX800 in Europe; GF9 in Japan) gets a refresh with an updated 16-megapixel Live MOS sensor without an optical low-pass filter, DFD autofocus technology, as well as 4K video up to 30p and the now-standard array of Panasonic 4K Photo features. The GX850 is the last Lumix model to gain 4K video and photo capabilities, making nearly all of Panasonic's Lumix cameras capable of capturing 4K media. Notice we said "nearly all." The GX850 is available in an all-black or a two-toned silver-and-black color. 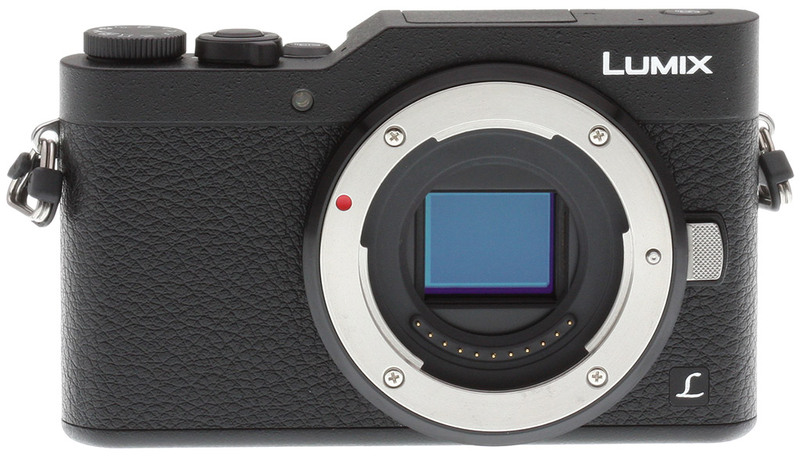 If you've been keeping track of Panasonic camera updates over the last couple of years, you will have noticed there's one Lumix ILC line that's been rather neglected, the GM series. 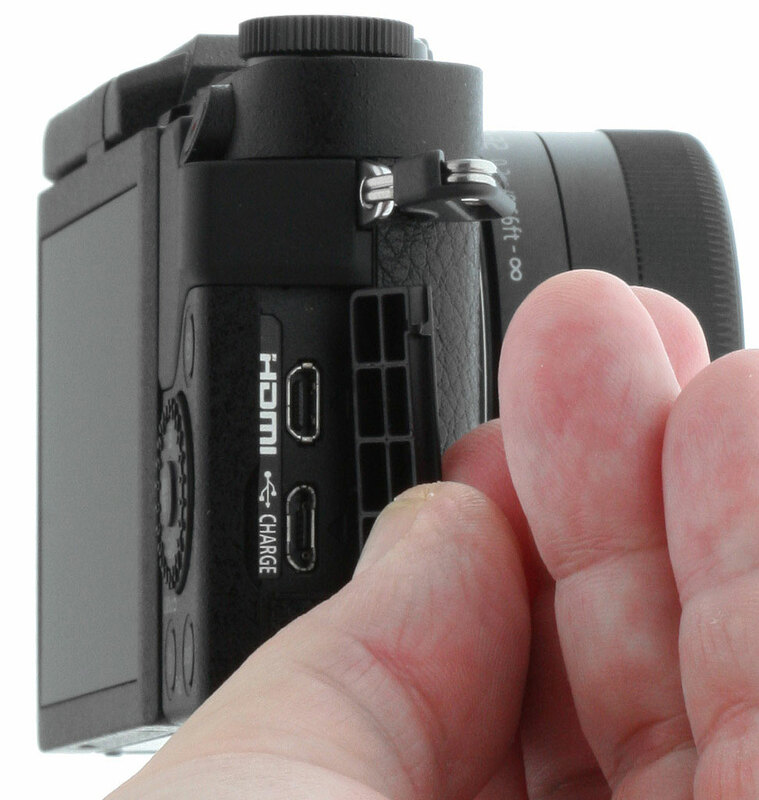 Back in 2013, the team at Panasonic somehow managed to cram a nearly full-featured Micro Four Thirds camera into a pocket-cam-sized body with the tiny GM1. It was instant hit around the IR headquarters. It was small, lightweight and had the full versatility that interchangeable lenses offered. Then the GM5 arrived a year later, adding an EVF, making the GM1 that much better. The problem was the little GM-family was rather a pricey, premium pair of "pocket ILCs," and although we here at IR loved the little cameras, we eventually got the feeling that the GM cameras hadn't sold as well as Panasonic had hoped. With the introduction of 2015's GF7 (and subsequent GF8 in 2016, which did not see a US release) -- a camera that was more or less similarly sized to the GM5 though much less expensive -- the writing was perhaps already on the wall for the premium GM line. And while we've yet to get a definitive answer from Panasonic regarding the fate of the GM series, the lack of news as well as affiliate and Panasonic websites all listing the GM5 as no longer available seems to answer the question. Farewell, GM series. 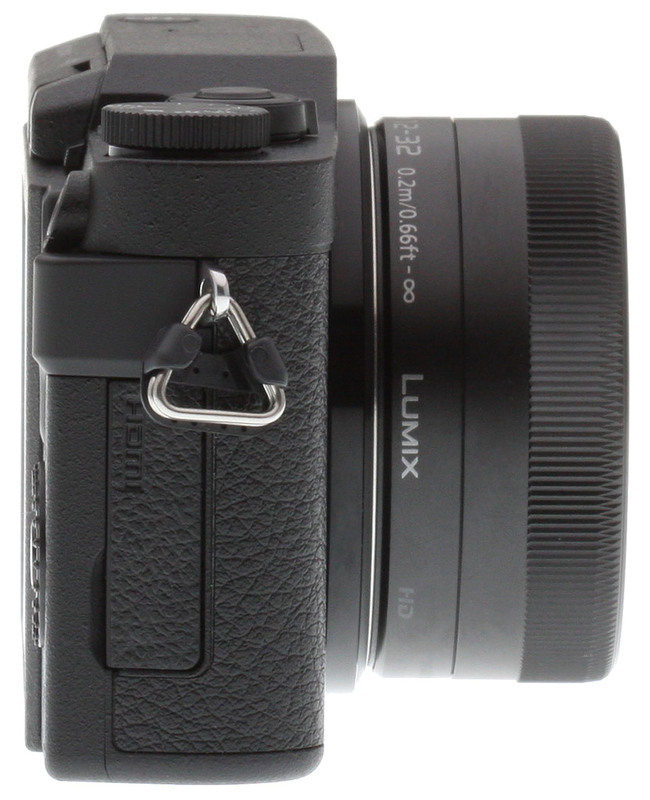 As such, for those looking to step up from their smartphone or small-sensored point-and-shoot camera to something that's not only an easy to use camera but also an ultra-compact Micro Four Thirds ILC that still fits into your pocket, the new Panasonic GX850 looks to fit the bill quite nicely. Let's now dive into the nuts and bolts of the GX850, shall we? 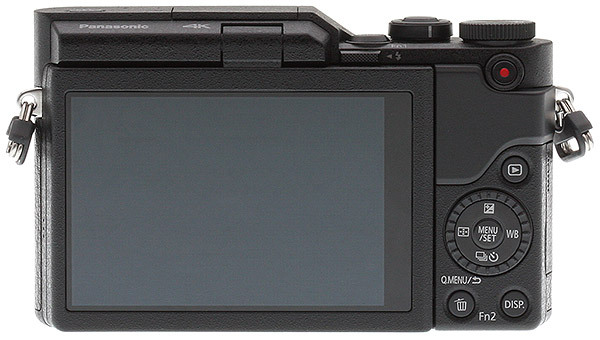 The GX850 uses a 16MP Four Thirds sensor without an optical low-pass filter. Working from the inside out, the heart of the Lumix GX850 is centered around an updated 16-megapixel Four Thirds Live MOS sensor. While a handful of recent Micro Four Thirds models, such as the GX8, GX9, G9 and GH5, are sporting a newer, higher-resolution 20MP Four Thirds sensor, the Panasonic GX850, on the other hand, maintains the familiar 16-megapixel resolution as a large number of previous Lumix ILC cameras. However, similar to the updated sensors from the GX85 and G85 camera, the 16MP chip inside the GX850 does not have an optical low-pass filter. 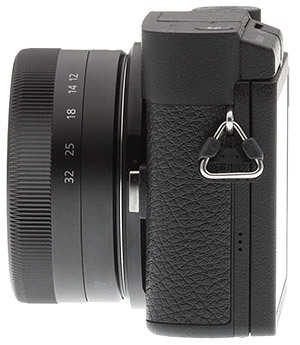 This has become a much more common practice for both high-end cameras and now for more entry-level ones as well. 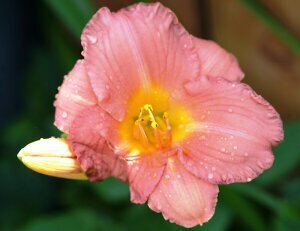 What you gain from the filter removal is sharper per-pixel detail; in other words, sharper photos, especially when you look closely. On the flip side, you run a greater risk of generating moiré and other aliasing artifacts such as false colors and jagged-looked edges. These artifacts can be tough to remove manually on the computer in photo editing software, but if you're careful about how and what you photograph, you should be able to avoid or minimize issues. Generally, subjects such as fabrics or fine repeating patterns like fences or brick walls tend to exhibit moiré artifacts if you're not careful. That being said, in-camera image processing is getting more and more sophisticated, which helps to minimize though not eliminate the artifacts. Another imaging pipeline change is a newer Venus Engine image processor, though a specific model name or version number wasn't specified in our briefing with Panasonic. However, despite the newer processor, the GX850 still offers the same ISO range as its predecessor -- 200-25,600, with an extendable low ISO of 100. In addition to 4K video, the GX850 offers a host of 4K PHOTO features, including various 4K Burst shooting options -- that is, 4K-resolution (8-megapixel) JPEGs at 30fps -- as well as Post Focus and in-camera Focus Stacking modes. 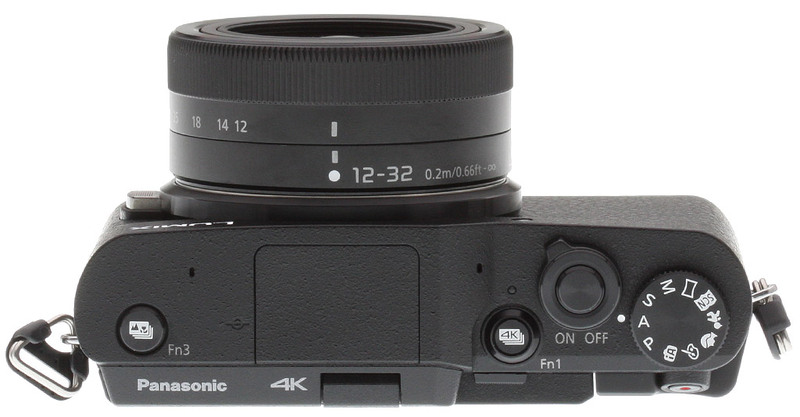 Both of these latter options utilize 4K recording technology by taking a shot while stepping through a range of focus distances. Post Focus then lets you pick a point of focus after capture, while Focus Stacking composites a series of frames together for a final shot with a deeper depth of field -- great for macro photography! As for performance features, the Panasonic GX850 is not designed as a high-speed sports- and action-shooting monster, though the 4K Photo at 30fps is pretty impressive. For full-resolution photo modes, the GX850 offers a claimed 5.8fps continuous burst rate for single-shot AF mode, while continuous AF slows the burst rate down a tad to 5fps. That increases to up to 10 and 6fps respectively using the electronic shutter. These are the same specs as on the earlier GF7. Claimed RAW buffer depth has improved however, from 7 frames to 15, while buffer depth with JPEGs is rated at over 100 frames. See the Performance page for our lab test results. 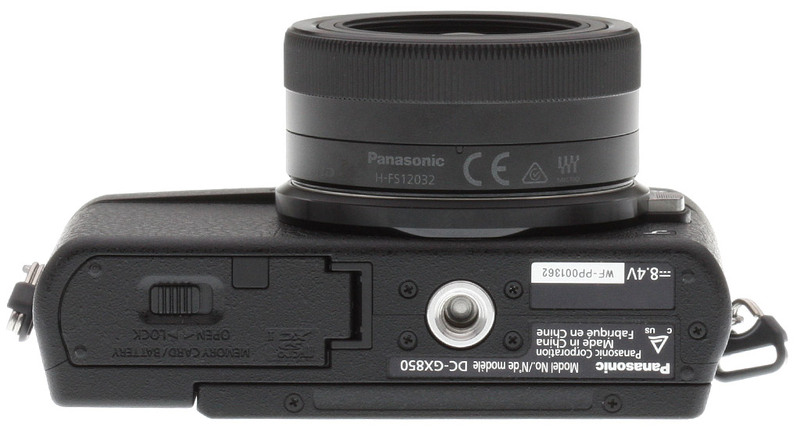 Autofocus performance is improved, thanks to the inclusion of Panasonic's DFD (Depth from Defocus) technology. The earlier GF7 utilized a standard contrast-detection AF system, and while the GX850 is also based on a CDAF system, the DFD addition should give the camera's AF a nice boost of precision and speed. The overall design of the Panasonic GX850 is very similar to that of its predecessor, though it no longer has that noticeable "hump" above the lens for the LCD tilt mechanism; instead continuing a raised top-deck all the way to the edge of the camera body. The more "rangefinder-esque" design does appear a bit more like its premium cousin, the GM5. However, unlike the GM5, the GX850 does not have a built-in EVF; it's LCD-only, like the GF7. The overall styling is very sleek, compact and minimalist, especially from the front, which is all but devoid of any buttons except for the lens release switch. 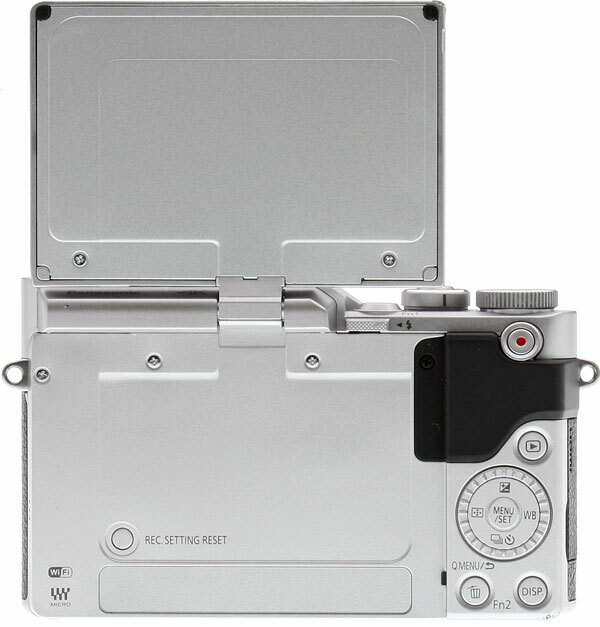 On the top-deck of the camera, the GX850 features a typical PASM mode dial on the far right, the power switch lever surrounding the shutter release button, a dedicated 4K Photo mode button (though it's also dual-labeled as Fn1, so you can reassign its function), and then a drive mode button on the far left corner (which is a also reconfigurable function button). On the back, the delete button serves as the camera third and final function button. 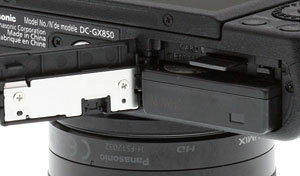 The top of the camera, as with the GF7, houses the small pop-up flash, with its mechanical switch sitting right along the top edge of the camera. Flash power is the same as the GF7 and GM1, rated with a GN of 4.0m at ISO 100 or 5.6m at ISO 200, and maximum flash sync is only 1/50s thanks to the hybrid shutter, the same as the GF7 and GM-series. On the rear of the camera, the GX850 utilizes a practically identical control layout as the GF7, which centers around a rotating control wheel that also doubles as a 4-way directional control. The large 3-inch touchscreen display uses a 1040K-dot resolution screen and tilts upwards a full 180-degrees, making the camera ideally suited for self-portraits and vlogging (though the camera does not have a hotshoe nor a microphone input). You can even set the camera to enable a hands-free "selfie" mode when you flip the screen upwards, automatically firing off a shot when the camera's facial recognition system detect a face or multiple people (called "Buddy Shutter"). The GX850 also offers 4K Photo and panorama features while in "selfie" mode. As with standard 4K Photo mode, you can take a quick series of images at 30fps and select the best frame after the fact -- especially great if you have multiple people in a group shot and you want to pick a frame where everyone's eyes are open! With panorama mode, you can capture wide selfie shots with groups of people or of large scene backgrounds. Additionally, the GX850 offers a new "Background Control" option with selfies that gives the user adjustable control over the depth of field -- either have sharper background (deep DOF) or isolate your subject (shallow DOF). While not available when the GX850 started to ship, the Lumix GX850 now incorporates a "Beauty Retouch" filter that's been included on a number of recent Lumix cameras, via a firmware update released in April 2017. Not offered on the GF7, Beauty Retouch mode automatically applies retouching effects such as smoothing the skin, removing blemishes and whitening teeth. Regarding storage media and battery life, it's good and bad news, in a way. 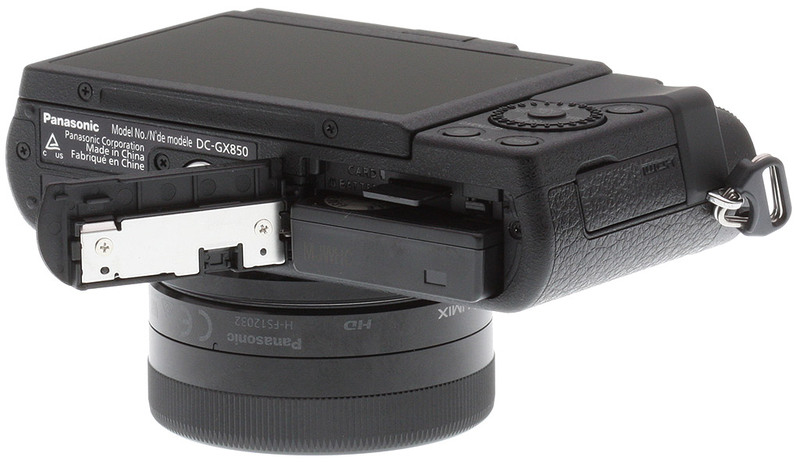 For starters, unlike GF7, the new Panasonic GX850 downsizes to the smaller microSD card format. If you've used a variety of cellphones with expandable storage capacity lately, you probably have a microSD card or two lying around. Otherwise, you'll need to go out and purchase a new memory card. Furthermore, these much smaller, thinner microSD cards are more easily misplaced than the larger SD cards. As for the battery, the good news is that the GX850 uses the same compact rechargeable lithium ion battery pack as the GF7 -- and now offers USB in-camera charging, too. However, the new camera is rated for slightly lower battery life than the predecessor, at 210 shots per charge rather than 230. As with many other recent Panasonic cameras, the new GX850 includes built-in Wi-Fi for easily remote control shooting and wireless sharing of images to smart devices. In our experience, remote shooting with supported Panasonic cameras has been rather robust, as their companion smartphone app offers lots of control of numerous shooting parameters, and this is true for the GX850 as well. Be sure to read our Field Test and other pages for much more on the features, image quality, performance and handling of the GX850! 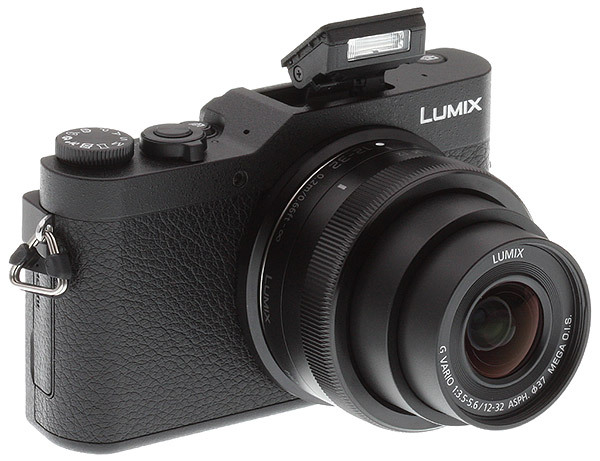 The Panasonic GX850 is sold in either an all-black color or a two-toned silver and black style, and is kitted with the ultra-compact G Vario 12-32mm f/3.5-5.6 Mega OIS retractable zoom lens. The GX850 started shipping in February 2017 for a retail price of US$549.99. As the most compact Micro Four Thirds interchangeable lens camera currently in Panasonic's lineup, the GX850 is indeed a very small camera. Paired with its pancake kit lens -- a 12-32mm optic (35mm equivalent focal length of 24-64mm) -- you can easily slip the GX850 into your jacket pocket; an impressive achievement for an ILC. Of course, with such a compact form factor, there are some sacrifices to be made. Fortunately, these sacrifices do not come at the cost of image quality. The 16-megapixel Live MOS sensor and DFD-powered AF system deliver impressive images across a wide range of scenarios. Let's get into it and explore the strengths and weaknesses of the GX850 in real-world use. Here we present crops from our laboratory Still Life target comparing the Panasonic GX850's image quality to its predecessor's, the GF7, as well as against several competing entry-level mirrorless models at similar price points: the Canon EOS M100, Fuji X-A3, Olympus E-PL8 and Sony A5100. The Panasonic GX850 turned in a solid performance in the print quality department, especially given its class and sensor resolution. You're in really good hands up to ISO 1600, with tons of fine detail and excellent colors throughout. Panasonic is one of the few manufacturers that manages to keep colors from muting too badly as ISO rises, and GX850 owners will benefit from this as ISO rises. By ISO 6400 the gain really starts to strain the GX850, so if you can remain at ISO 3200 and below your prints will reap the rewards. 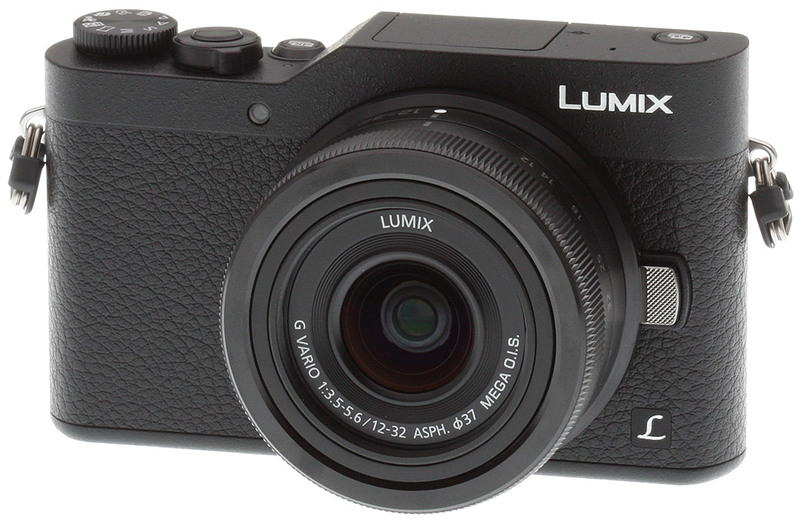 Well done to Panasonic on this camera for really good image quality for the price.